Objects conservation as a profession offers many areas of specializations, whereof books and library materials is one. The birth of book conservation as a field of expertise is said to rest on one single event in time: the disastrous flooding of Florence, Italy in the 1960’s. In the aftermath of the disaster, a more minimalistic and gentle approach to handling, storing and mending damaged books and manuscripts evolved. Gradually, conservation came to replace the more invasive and non-reversible methods of book restoration performed by earlier generations. 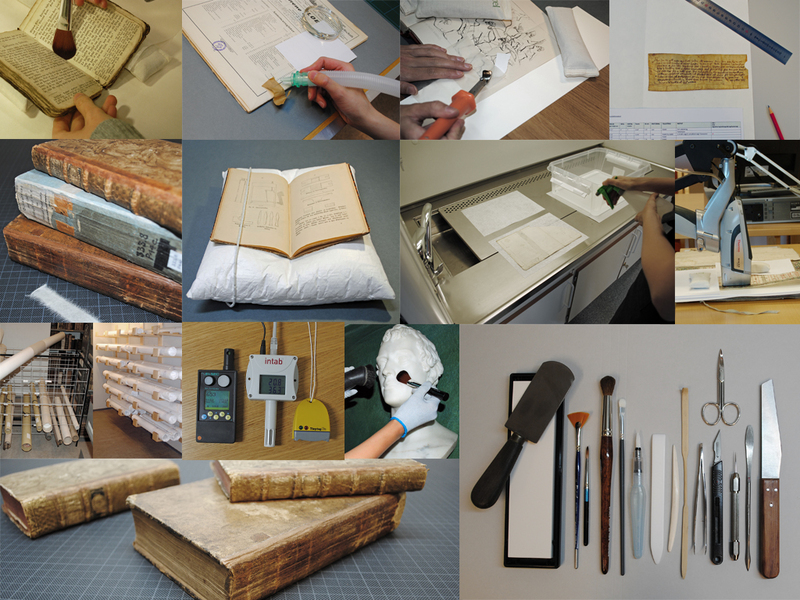 The conservation department at the NTNU Gunnerus Library currently employs one in-house conservator. A number of measures and actions, principally of a preventive nature, are performed on a daily basis to minimise or delay degradation of the library’s historic collections. The conservator assesses the needs of the collections, monitors storage climate, makes sure that artefacts are housed in suitable enclosures and provide staff as well as visitors with guidance on object handling. “Hands-on” tasks such as mending of torn pages, removal of pressure-sensitive tape and consolidation and rebacking of book covers and bindings are also performed. Practical conservation often takes place in conjunction with digitisation, exhibition or reading room use. Victoria Juhlin is a rare books conservator at the NTNU Gunnerus Library in Trondheim, Norway. About the Author: Victoria Juhlin is a rare books conservator at the NTNU Gunnerus Library in Trondheim, Norway. More from this author.